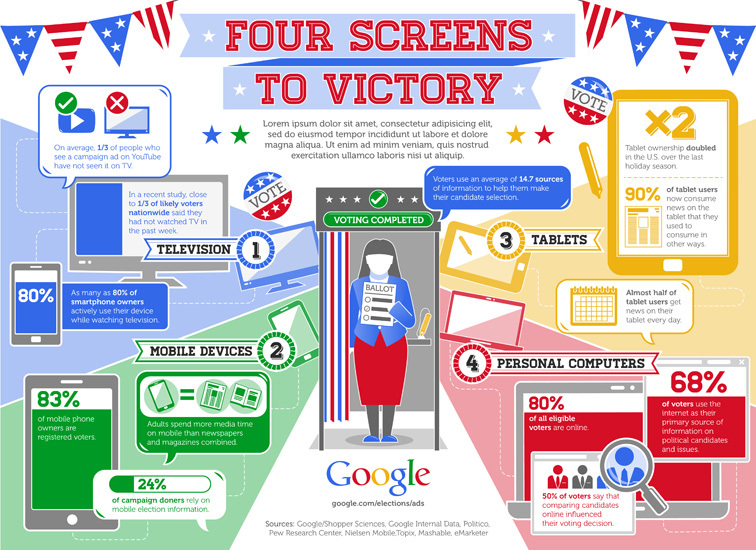 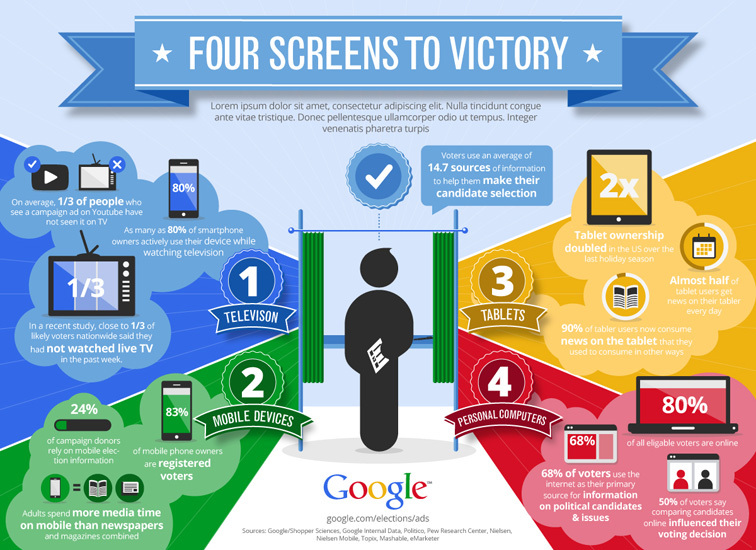 As the election cycle heats up before the Conventions, the Google Politics and Elections team approached JESS3 to create an infographic that clearly depicts the modern voter. 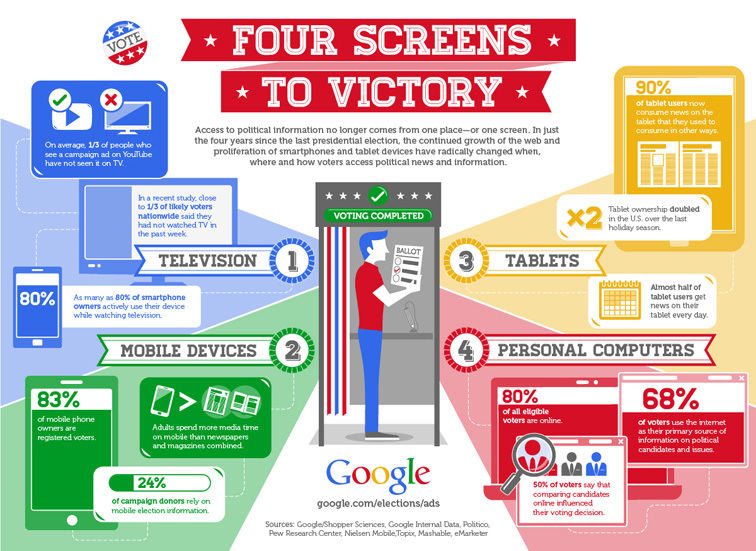 In today's media-filled world, political campaigns can no longer rely on one screen — the TV — to reach voters. Instead, campaigns must consider that the majority of voters seek political information not only from the TV, but also from their computers, smartphones and tablets. 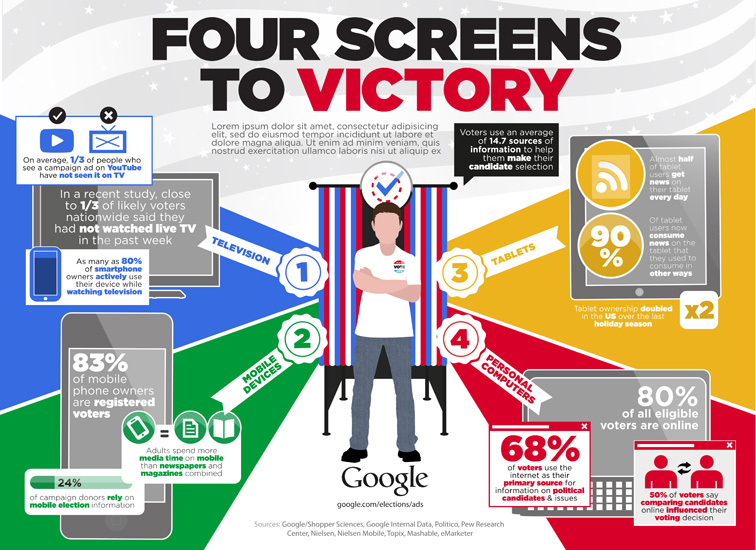 We centered the story around a voter at the polls and surrounded him with data points, much like an average voter is surrounded by media on any given day. 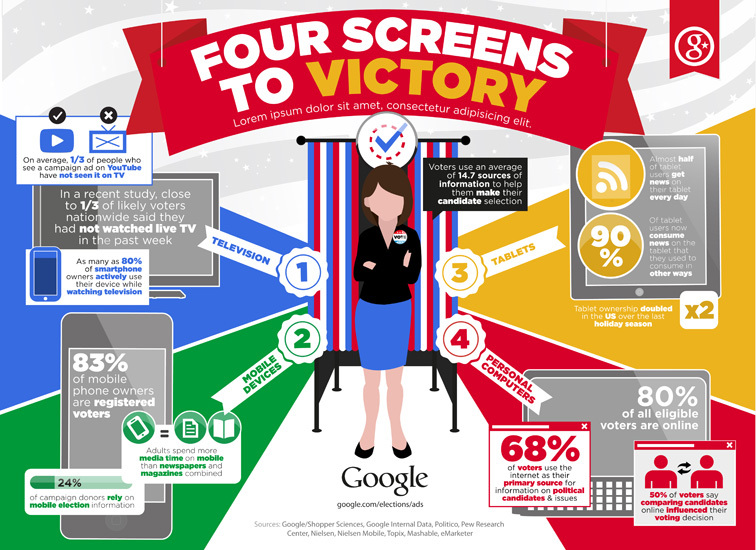 We displayed stats about each of the four screens' political prevalence (TV, computer, mobile device and tablet), and aimed to clearly depict a snapshot of the voting process, including the digital chaos that surrounds voters before they ever reach the ballot box. 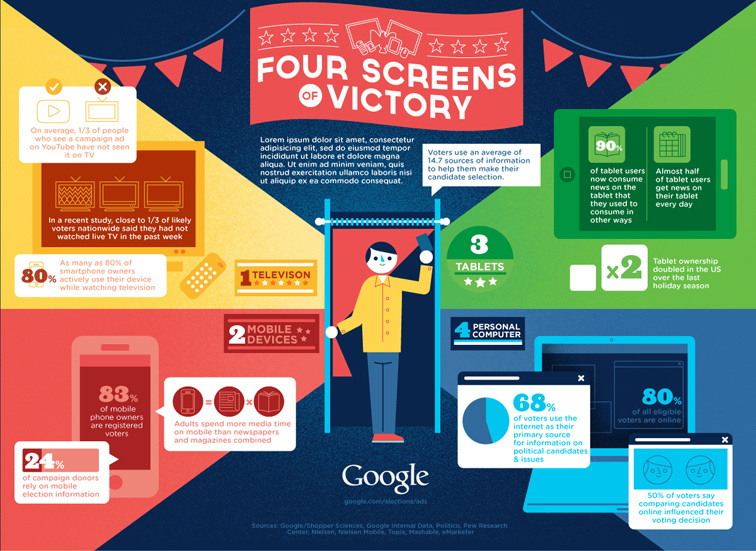 The style employs Google's well-known color palette and uses simple illustrations to keep the message concise. 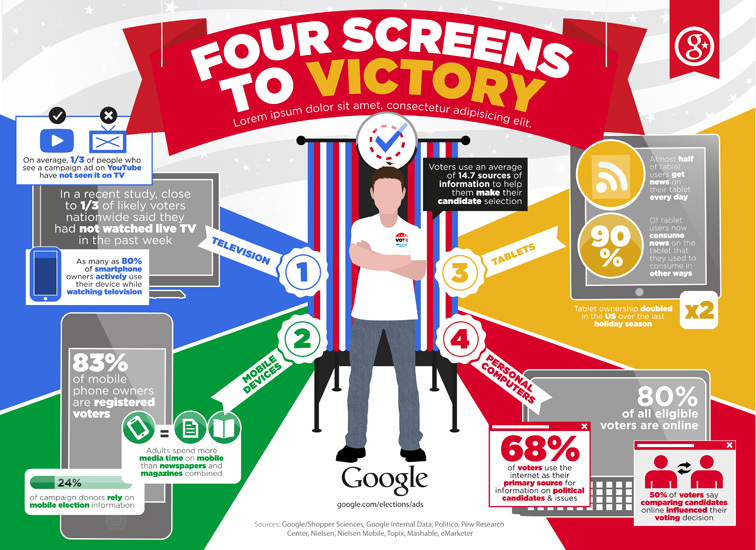 The overall design structure parallels how voters digest ever-streaming information to make a final conclusion on which candidate to choose. 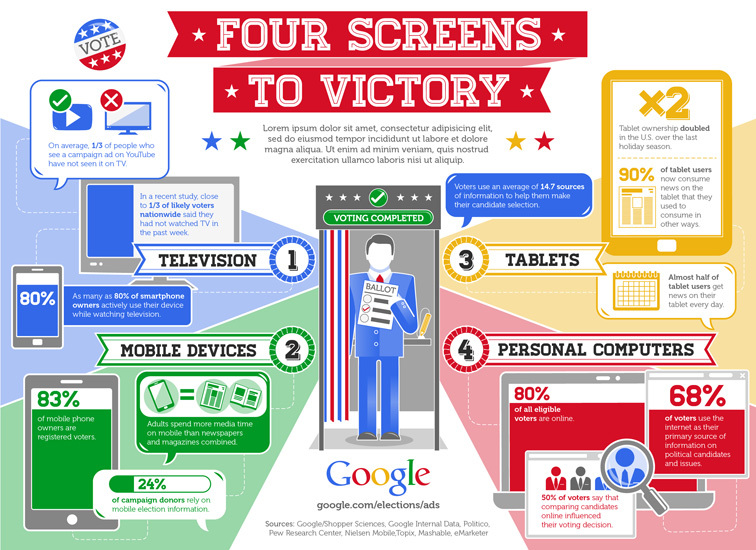 Each voter’s decision process is exposed and influenced many times over on many different screens. 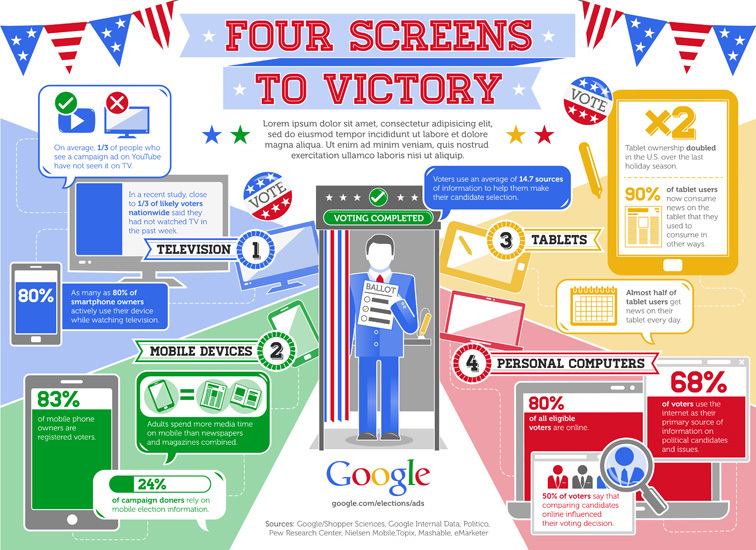 Our infographic captures the complex voter-media interaction process in a straightforward way.